Limited to 300 pieces, the Supersonic in Stainless Steel has been hand assembled by skilled watchmakers at Bremont’s workshop in Henley-on-Thames. 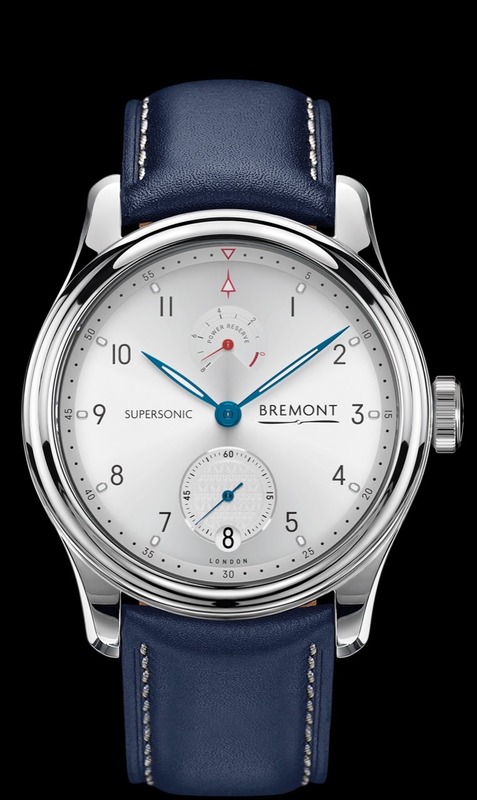 The Supersonic contains Bremont’s first ever manual wind movement which features an 8 day power reserve and has a power reserve indicator at the 12 o’clock position. The style of the timepiece is reminiscent of a 70’s look and feel with its sunburst white dial representing Concorde’s specially developed highly reflective paint. The blue hands of the Supersonic reflect British Airways blue on Concorde’s famous livery. 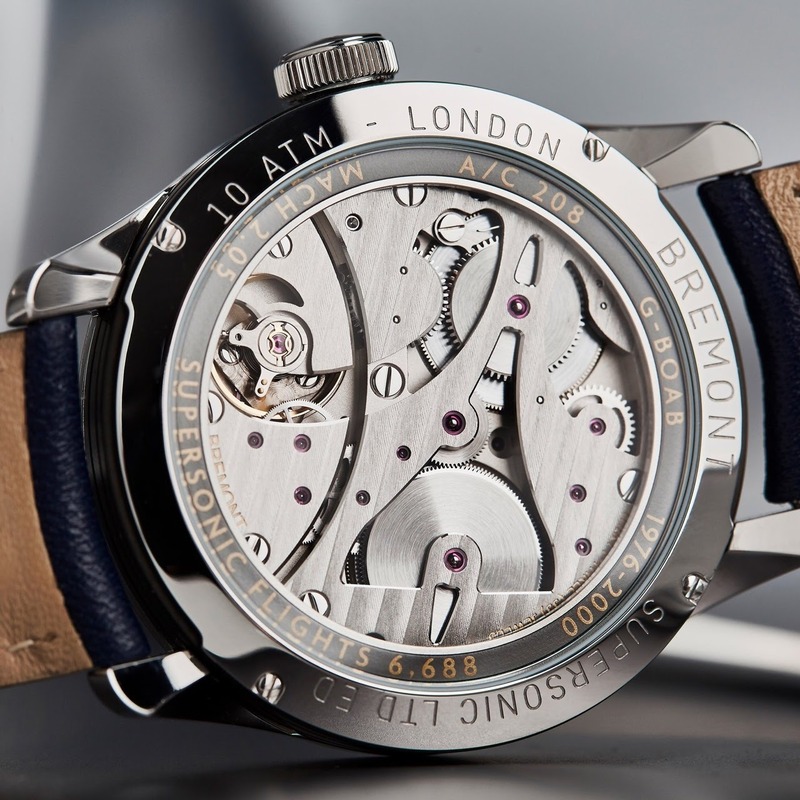 The Bremont Supersonic incorporates a ring of aluminium from Alpha Bravo, Heathrow’s last remaining Concorde. The silhouette of this remarkable aircraft is subtly machined into the movement’s customised base plate and G-BOAB’s attributes feature in gold around the aluminium decoration ring. The beautiful bespoke packaging, which has been engineered and made in England, is a subtle nod to the iconic shape of Concorde. This timepiece comes on a Concorde Blue Connolly leather strap with pin buckle to complement case material. Versions will also be available in Rose gold, 100 pieces and white gold, 100 pieces. Really like the movement with the "footprint" of Concorde! I have one of the original Martin Baker watches ..